It’s finally spring here in Louisiana and I have officially started grilling everything. 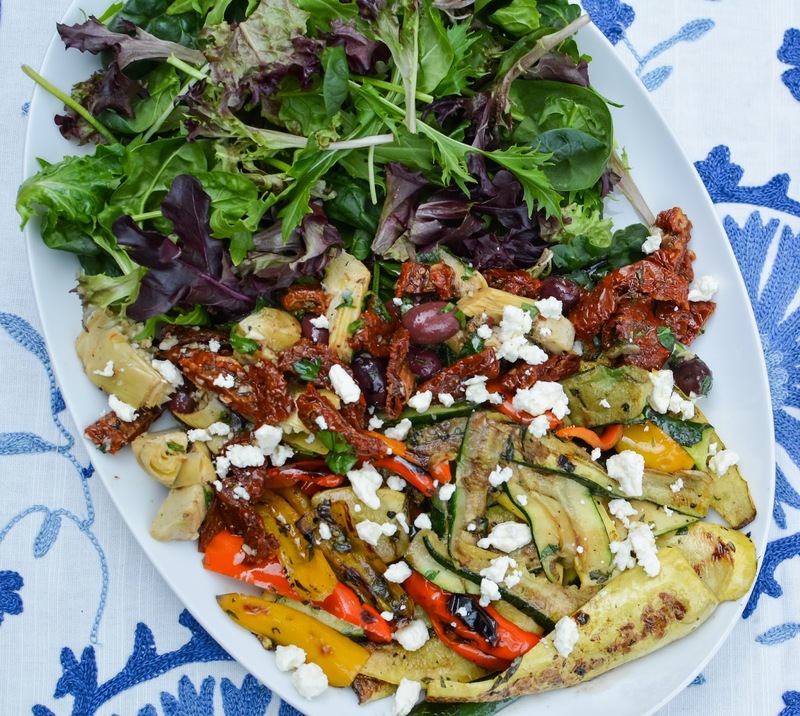 I’m all for minimal mess in the kitchen and a light, fresh, colorful grilled salad. I’m also for spending as much time on the patio as possible, preferably with a cocktail or glass of wine in hand. 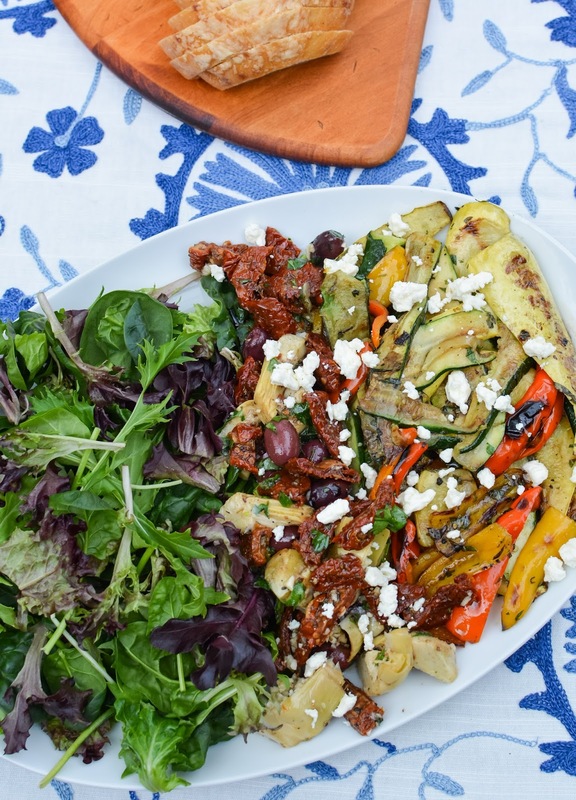 This Mediterranean salad is so easy and flavorful. 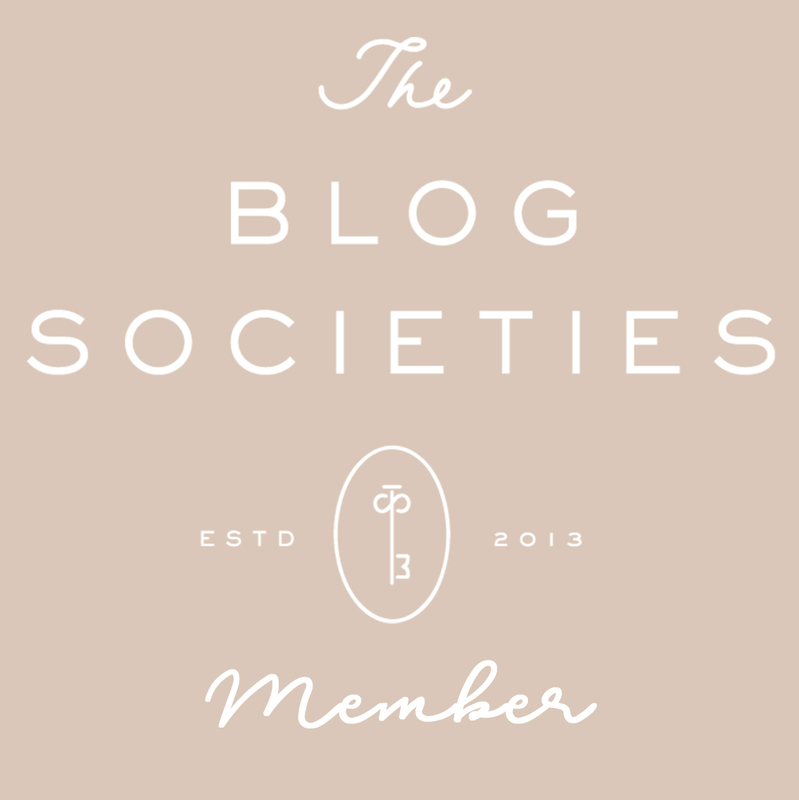 You will definitely be making this one all spring and summer long. It’s fantastic served on it’s own or with fresh grilled chicken or seafood. 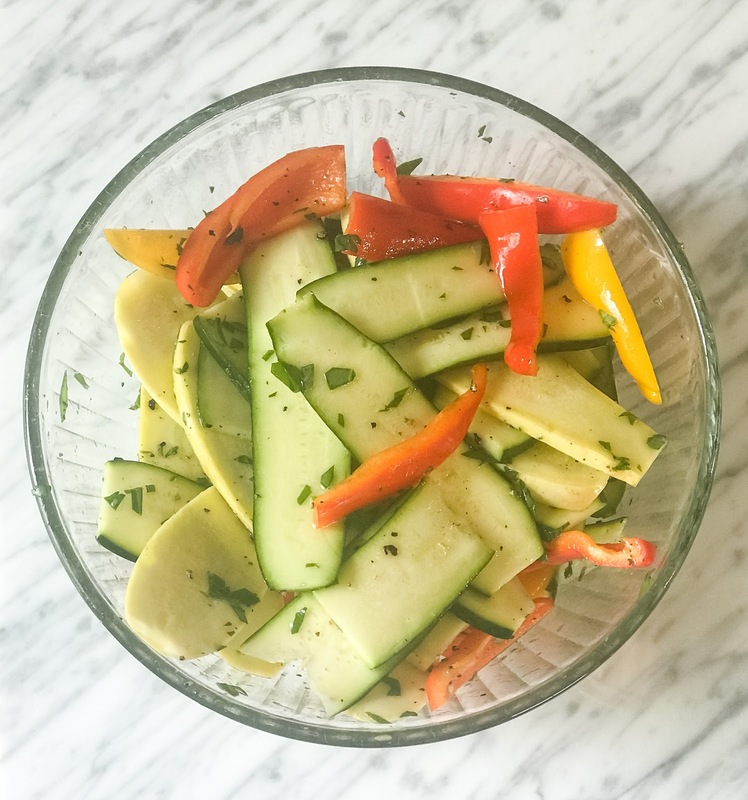 Toss the zucchini, squash, peppers with ½ of the olive oil, garlic, and ½ of the herbs and let stand for a few minutes. 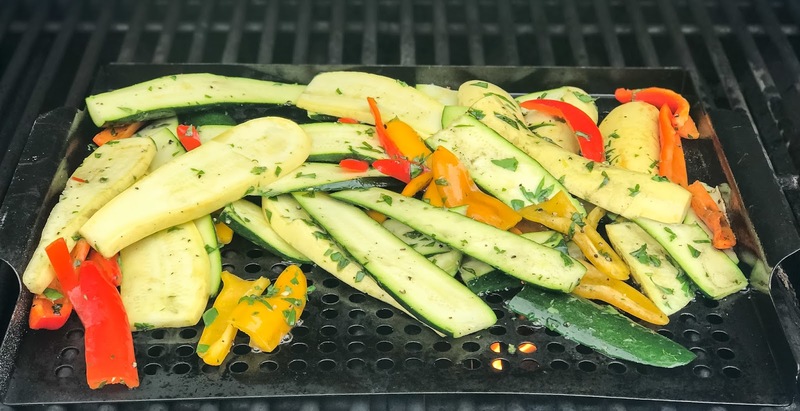 Grill vegetables on a grill pan until soft. Season with salt and pepper to taste once you remove. 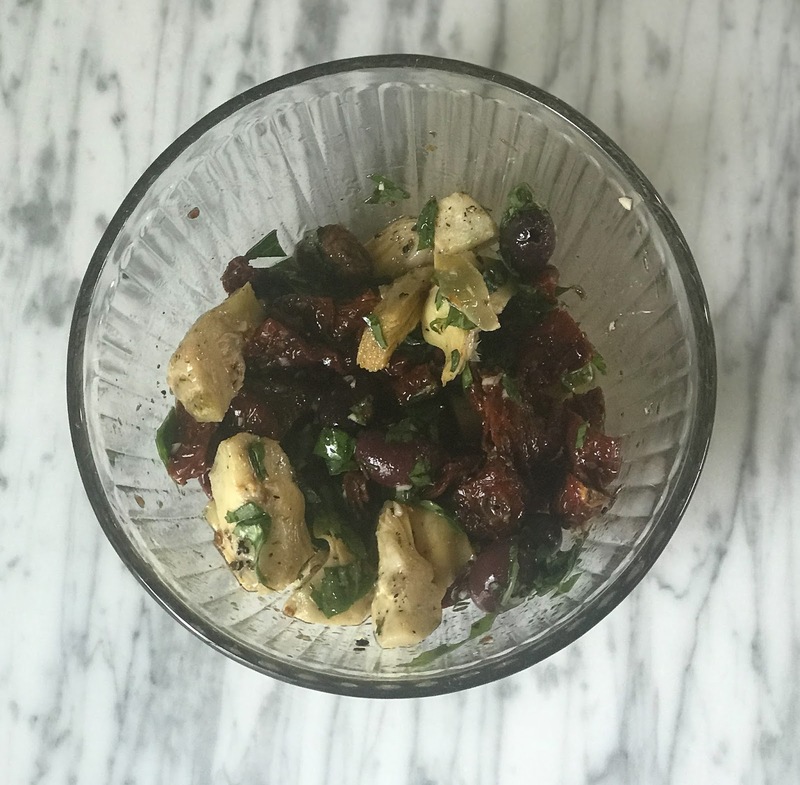 In a small bowl, marinate the artichoke hearts, olives, sun-dried tomatoes, and herbs with the remaining olive oil for at least 30 minutes. Remove from the bowl once marinated and reserve the marinade. To assemble the salad place all ingredients on a large platter or individual plates with the mixed lettuce. Add the balsamic vinegar to the reserved marinade and mix. 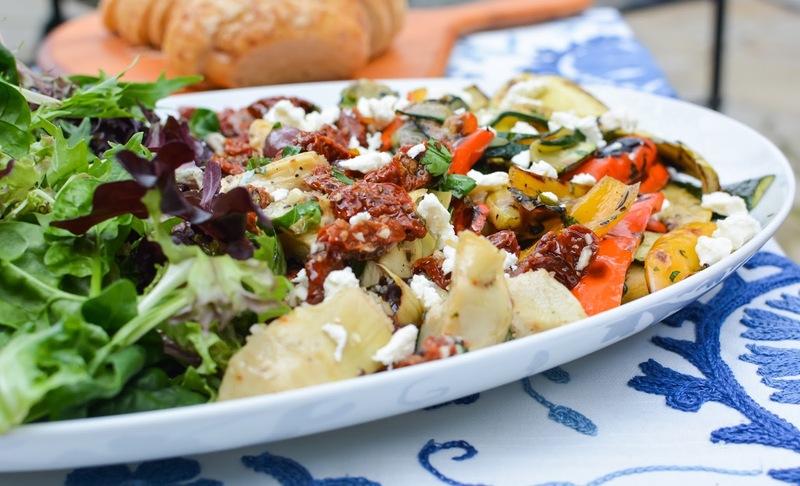 Drizzle the marinade over the entire salad and sprinkle the crumbled feta cheese over the top. Season with salt and pepper to taste.